Hellfront: Honeymoon is a very simple twin-stick strategy shooter with some intense and fun gameplay. 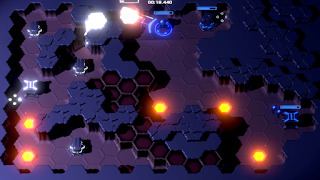 While this game focuses on local multiplayer, there is also a fair amount to do solo. Please click "read more" for the full review. n/a There is no story. Only dialog is a narrator for the tutorial and another one for rounds and announcing who wins/loses. No score for this category. The concept behind the game play is very simple. There is one screen were each player must try to shoot away all of the other players. 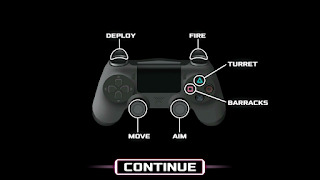 You control either a blue, white, green, or red character and are armed with a simple, short range machine gun. 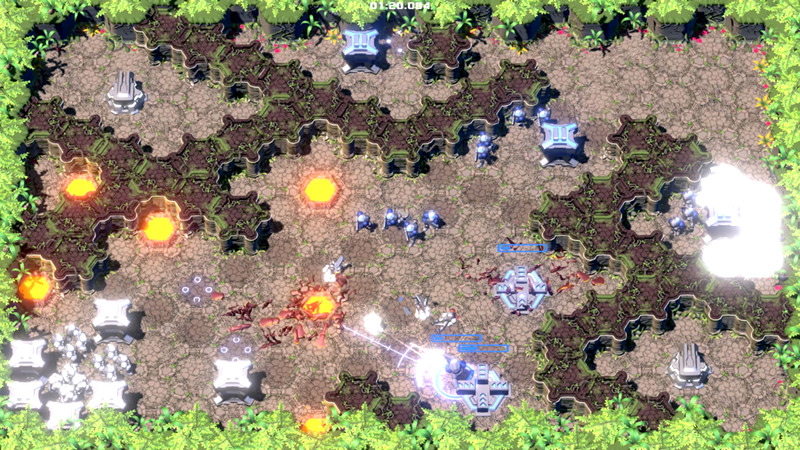 Using the glowing yellow spaces on the map, a player can spawn in either a torrent or barracks that spawns soldiers that move on the players command. Torrents are strong and offer quick offense but do not last long as they take damage with each fire they shoot. 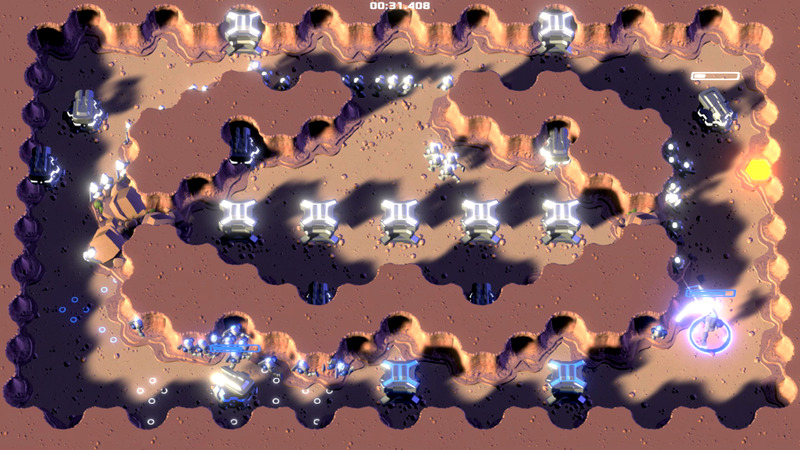 Barracks are the best way to win; while they are vulnerable, they spawn 4 marines every 10 seconds which can eventually overwhelm the opponents. 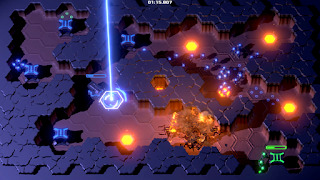 Every map has obstacles that can be shot away over time or used as cover. When barracks and torrents are destroyed, a swarm of bugs spawn out that attack anyone/thing nearby. These bugs can also come from eggs if the map has any. Players cannot re-spawn if all of their barracks and torrents are destroyed, otherwise there is no consequence for death. The winner is the last player standing, and that basically sums up all the game play. 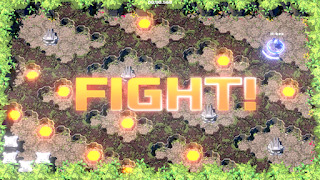 There are no power ups, super moves, or any classes, the game is as simple as it can be. This, actually makes the game loads of fun. Deathmatches are super fast paced, involve strategy and skill, and are very easy to understand. Hellfront: Honeymoon is proof that a simple concept done right can make for a great game. Sadly, there is one major flaw; this game does not support online play or even computer players/ bots for the other players, meaning the main gameplay mode is completely locked out to any single player. However, there is a separate missions mode that can be done solo. Mission mode has 75 missions spread over the 3 map planets all with different layouts. 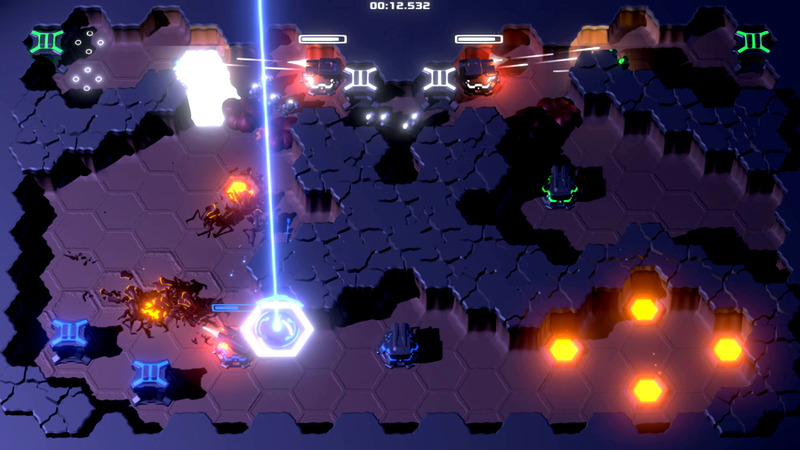 This mode can be done solo, or 2-player co-op. Every mission is simply to eliminate the computer players in various scenarios that give them an advantage to start. 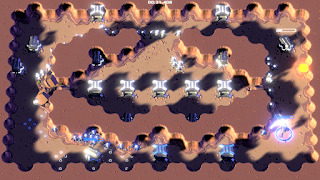 The difference is that the computer players do not have a main player and have their marines construct torrents and barracks. 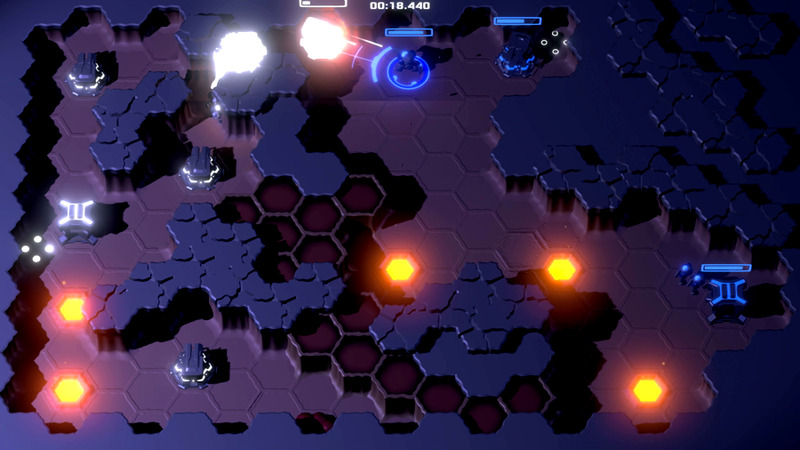 While playing single, this mode is very challenging but not impossible; co-op makes it a little easier since the second player is always an ally. On the opposite side, the computers are usually only white, but sometimes green and white but never teams. 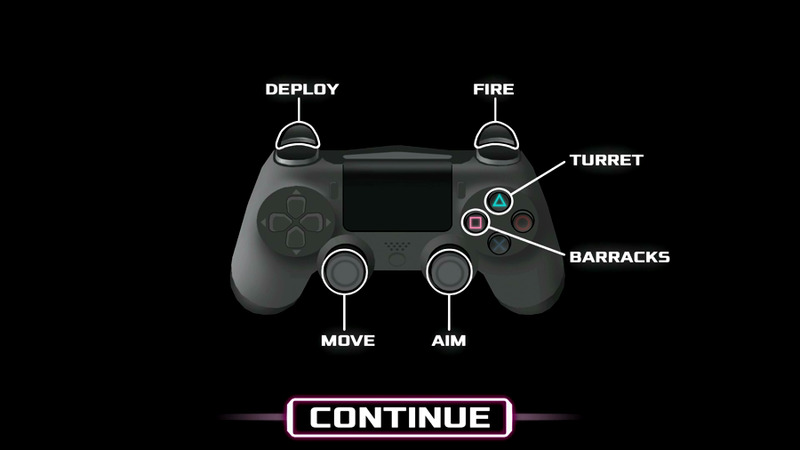 This mode will keep a player busy for a good amount of time and can honestly be enough for someone who does not play multiplayer to have fun with this game. As much fun as this mode is, there is one exploit that hurts it. If the player does not have any barracks or torrents built, the enemy marines do not move which allows for some cheap tactics. That being said, it is not a game breaker. Every mission is scored based entirely on how fast you finish them and you won't be able to get the full 3 stars moving at this pace. Also, marines and torrents will still get hostile if the player attacks or gets near them and the player cannot re-spawn if they don't build anything. Also, this tactic does not work on any mission with both the white and green opponents. That being said, using this exploit correctly can take away a lot of the challenge as it allows you to clear up an area uninterrupted. It makes sense since the marines can only move to their targeted location, but this is still an issue I hope gets worked on in a future update. A simple method could be applied that would fix this entirely, have the enemy marines move toward their own torrents or barracks that are being attacked and everything would balance out. Overall, game play is loads of fun and any issue is more of an oversight than a design flaw. 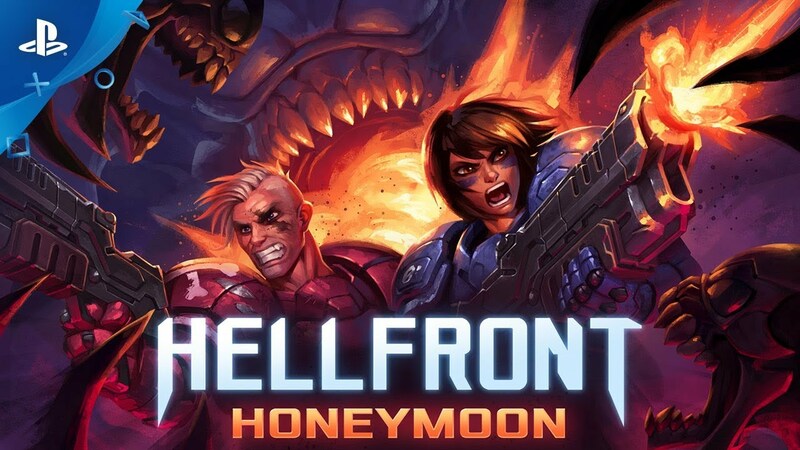 Hellfront: Honeymoon's soundtrack uses a lot of intense music and suspenseful tracks normally found in stealth games which plays greatly with the fast pace and fun game play. One way to describe it would be 80s style synthwave, which is not a genre in music I am overly familiar with, but it was a great choice for this title. Sound effects are all proper and there is no dialog meaning there is nothing to complain about with this games audio. The graphics are not fantastic, but nice. Everything is identifiable and nothing looks down right "bad" but, no real stand outs either. There are dozens of maps but only 3 planets with unique textures. Tanathos XI: basically a moon looking place. Geminus: pretty much the Earth style planet. Focuses on the trees though which gives it a forest feeling. Halcyon IV: Best looking as far as lighting goes and has a baron/desert vibe. I would have liked a little more variety, but the different map layouts help mend the repetition a little and it gets the job done well enough. Visuals keep with the simplicity this game has going for it, which unfortunately, can dissuade some players. Hellfront: Honeymoon is a fantastic, cheap, and simple little game. There are only a handful of complains that are enough to keep it from being a top contender sadly, but it has the potential with future updates. I can accept the lack of online play, but being able to play against computer opponents has been a staple in party games for decades so that is a big oversight to not have. The mission mode is a ton of fun even with its one exploit. I would highly recommend this title to anyone looking for local multiplayer fun or something that can be played in short bursts given that each mission takes less than 4 minutes.